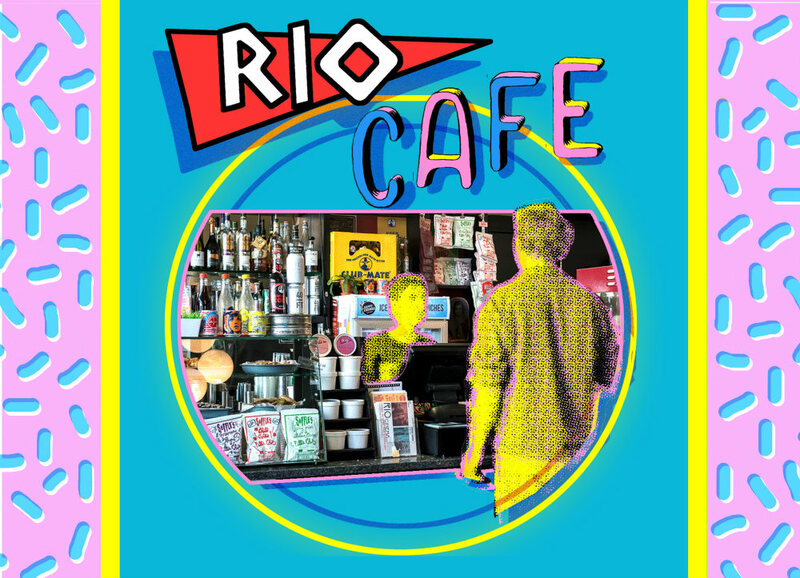 One of the defining features of the Rio Cinema is its independence, and we don’t want to stop at just independent films, we strive to promote the best of East London's independent FOOD and DRINK makers. You know about our locally made Vegan Samosas, but we have a few more treats up our sleeves. Since 2016 our bar has been transformed, replacing dreary conventional snacks and drinks with locally made delights, as well as rare goodies from further afield. Our trained baristas serve Climpson's and Son coffee. Cookies are made by the wonderful Hackney Pirates of Dalston's very own Ship Of Adventures. Fairtrade fizz courtesy of Karma Cola. Lagers and Ales brewed by Dalston’s very own 40 Feet Brewery, Old Blue Last and the East End's female-owned Wild Card Brewery. Gin cocktails and Vodka specials are made with local distillery Sacred Spirits. Borough Wines supply our wines and bubbles. Mango Ice Tea and Chocolate Fruit and Nut snacks are made in-house by the House of O’Dwyer. We have stunning sorbets from Hackney Gelato, and the world’s greatest Ice-Cream Sandwiches by Happy Endings. Our vegan cakes made just down the road - via heaven - by the very talented Manna Cakes. Ciders are done by Kent makers Turners. We now stock Fountain of Youth's popular coconut water and delicious ice-lolly cocktails from LAPP. And for those with a European pallette, we bring you Club Mate all the way from Berlin. Did we get to popcorn? - we pop our own daily, sweet and salted! Our aim is to continue replacing all those dull, global brands with even more delights, made with love and care, from small business and farms around the country. And support the endeavours of our like-minded foodie friends. Check out our Treat of the Week!